Weeds seem to be a never-ending problem that we can never truly solve. No matter how much time we spend pulling, spraying or trying to prevent them, they always seem to magically reappear. They grow in our vegetable gardens, around our stepping stones, in our flowerbeds and — perhaps most annoyingly — in the tiniest of cracks in our walkways and driveways. Although it has been somewhat jokingly said that the only way to truly have a weed-free yard is to concrete the entire thing, we know that this extreme solution really would not work either. After all, when that concrete cracks — and eventually it will — weeds will wiggle their way up through those cracks as soon as they have the chance. If it is nearly impossible to have a weed-free yard, how do we go about killing the weeds in our walkways and driveways? And how do we prevent new weeds from popping up? Here are 10 things you can do to achieve weed-free walkways and driveway cracks. If your hardscapes are already installed and weeds are becoming a problem, then the first step in remedying the situation is removing the weeds currently growing in your yard. 1. Kill them with vinegar. Vinegar is good for so many things around the house and in the yard that it is not that surprising that it can also help with your weed problem. One of the best things about this option is that it does not require chemicals and is a natural herbicide. However, it is not without its issues. For example, it will kill whatever you spray it on, so you need to be careful not to spray it around desirable plants. You may have to spray the weeds more than once to kill them if you use vinegar from the grocery store, but you can purchase higher-strength vinegar to get the job done quicker. Some people add a little dish soap in the spray bottle with the vinegar to make the solution more deadly. 2. Pull weeds the old-fashioned way. Pulling weeds are not that fun, but it does burn calories and gets you outside in the fresh air and sunshine. Plus, it is the simplest and least expensive way to remove weeds from your hardscapes. Make sure to pull them out by the root so that they do not grow right back. If you pull them before they have gone to seed, you can add them to your compost bin to make nutrient-rich mulch for your desirable plants. 3. Use a Cape Cod weeder, V-notch weeder or soil knife to make removing weeds easier. For tough to grab weeds or folks with back problems, a Cape Cod weeder or a notched weeder can make life much easier. Cape Cod weeders can have short or long handles and looks somewhat like a hoe with a narrow, pointy blade. V-notch weeders have a handy notch that allows you to hook the weed to aid in extraction. You can also use a soil knife for removing weeds, and you may prefer this multi-functional tool since you can also use it to cut twine, prune, harvest and perform a variety of other garden tasks. Putty knives and scrapers are also effective for removing weeds from cracks. 4. Use a commercial herbicide. Commercial herbicides can be expensive, but they are often the best way to kill current weeds and prevent new ones from growing. While most herbicides are laden with toxic chemicals that are very effective but might not be healthy for your family or pets, there are organic, non-toxic herbicides available at your local garden center as well. If you decide to go the herbicide route, you might want to, at least, give the healthier options a try before resorting to the more toxic options. 5. Douse weeds with boiling water. Pouring boiling water over weeds is another natural way to kill them in walkways, gravel driveways or in cracks in concrete. Like vinegar, this method is non-selective and will kill whatever plant it is poured on so be careful not to use it near desirable plants. If you would like to try this inexpensive, effective, natural weed killer, simply fire up the kettle and pour the boiling water directly onto the weeds. The best time to prevent weeds creeping up through cracks, seams and joints are to take preventive measures before you install your hardscapes. 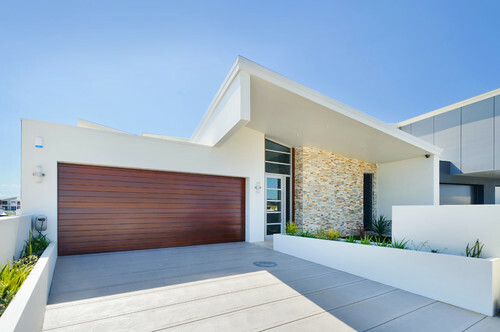 However, if your paving stone driveway, brick walkway or concrete patio is already installed, there are still steps you can take to prevent weed growth. If your weeds are coming up through cracks in your concrete driveway or the seams between the slabs, you can prevent future weeds by sealing the cracks. Cement crack filler is inexpensive and easy to find at hardware stores and home improvement centers. Some options come in squeeze bottles with applicator tips that allow you to simply walk (or crawl) along the crack and squeeze the filler into it to seal it. Other options require a caulking gun and are applied like caulk to fill the cracks. 2. Pull weeds before they go to seed. If you want to prevent future weed growth, it is very important that you pull current weeds before they go to seed. 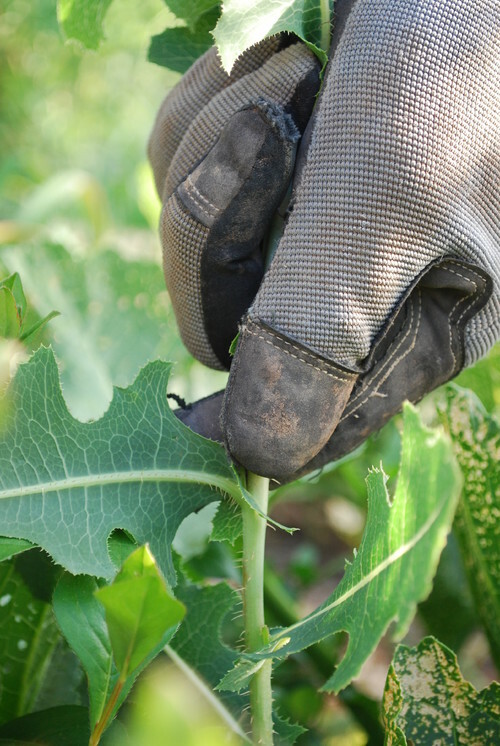 Once your current weeds have seeds, they can quickly spread to other cracks or other parts of your yard, and the seeds can even be transported and dropped while you are carrying the weeds to your yard waste bin. 3. Install landscaping fabric or a geotextile mesh before installing hardscapes. 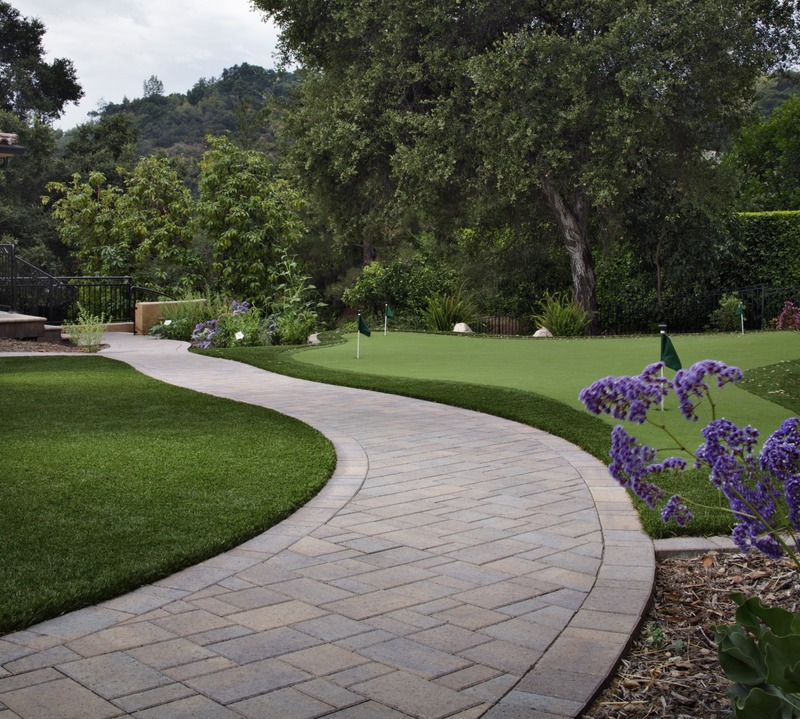 Ideally, you will be able to start your weed prevention efforts before your hardscapes are installed. 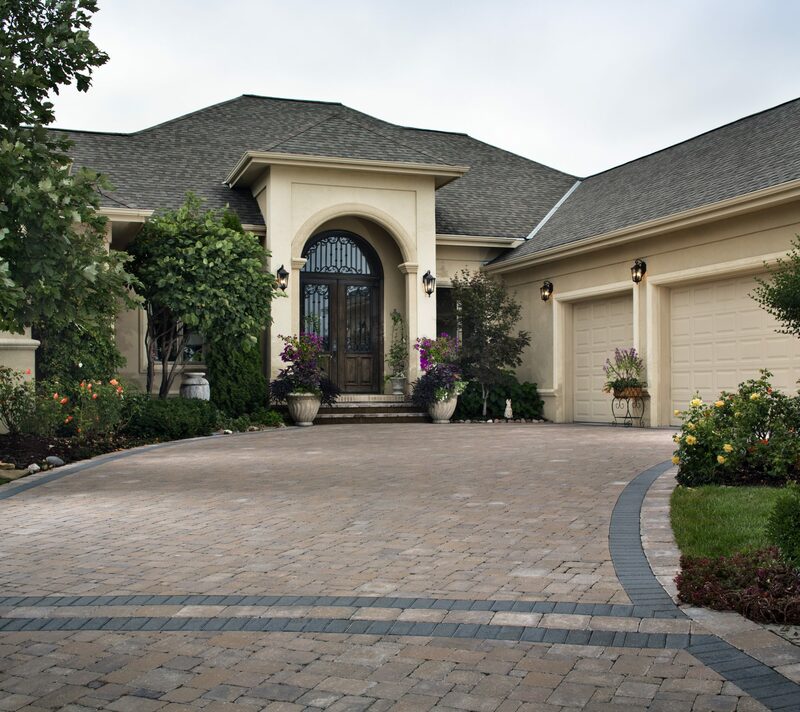 For example, if you are installing a paving stone driveway, make sure you talk to your installer about placing a geotextile mesh under the pavers. If you are installing a do-it-yourself brick walkway, you may want to look into geotextile mesh or landscaping fabric for your project to help inhibit weed growth. One sure way to prevent weed growth is to sterilize the soil so that nothing will grow. Salt is an easy and inexpensive way to do this, but you need to be very careful not to get the salt anywhere near soil where desirable plants grow. You also cannot use it in soil where you might want to grow something in the future. If you are salting driveway cracks or walkway seams, make sure that runoff will not carry the salt to healthy soil. 4. Keep your garden tools clean. Wipe down your weeding tools and other gardening tools after each use. Weed seeds are easily transported on garden tools, so even if you are just carrying your shovel from the flowerbed to the shed, you could unknowingly be depositing weed seeds along the way. 5. Douse the area with commercial herbicides. There are plenty of herbicides lining the shelves at your local garden center or home improvement store and just waiting to come home with you to help solve your weed problem. Both natural and chemical options are available to suit your needs, and many are effective in holding weeds at bay. You will need to remember to apply your chosen herbicide regularly to maintain your weed prevention efforts. You will also need to be aware of whether or not your chosen herbicide is a selective killer. If it is non-selective, you will need to make sure you do not spray it in areas where desirable plants grow. We all have problems with weeds. What are your favorite ways to remove or prevent weeds in your walkways and driveway?